Quick Ship Market Umbrella 7.5 Foot Octagonal Fiberglass Market Umbrella with Pacific Blue Marine Grade Fabric, 19 lbs. 6 1/2 ft. Square Fiberglass Market Umbrella, Marine Grade Fabric, 18 lbs. 7 ½ ft. Octagonal Fiberglass Market Umbrella, Marine Grade Fabric, 19 lbs. 6.5 Ft Square Crank Lift Fiberglass Market Umbrella, Marine Grade Fabric, 18 lbs. 7.5 Foot Octagonal Crank Lift Fiberglass Market Umbrella, Marine Grade Fabric, 19 lbs. Quick Ship Market Umbrella 9 Foot Octagonal Fiberglass Market Umbrella with Pacific Blue Marine Grade Fabric, 22 lbs. 6.5 Ft Square Auto Tilt Crank Lift Fiberglass Market Umbrella, Marine Grade Fabric, 18 lbs. 9 Foot Octagonal Fiberglass Crank Lift Market Umbrella, Marine Grade Fabric, 22 lbs. 7 ½ ft. Square Fiberglass Market Umbrella, Marine Grade Fabric, 21 lbs. 7.5 Foot Octagonal Auto Tilt Crank Lift Fiberglass Market Umbrella, Marine Grade Fabric, 19 lbs. 7 ½ ft. Square Fiberglass Market Umbrella with Crank Lift, Marine Grade Fabric, 21 lbs. 9 Foot Octagonal Fiberglass Auto Tilt Crank Lift Market Umbrella, Marine Grade Fabric, 22 lbs. 11 Foot Octagonal Fiberglass Market Umbrella, Marine Grade Fabric, 24 lbs. Quick Ship Market Umbrella 11 Foot Octagonal Fiberglass Market Umbrella with Pacific Blue Marine Grade Fabric, 24 lbs. 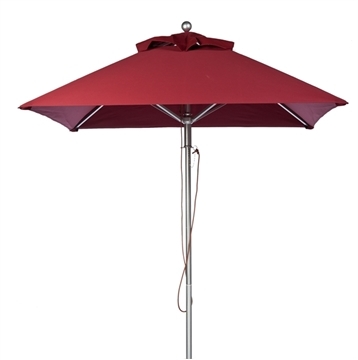 7 ½ ft. Square Fiberglass Market Umbrella with Auto Tilt Crank Lift, Marine Grade Fabric, 21 lbs. 11 Foot Octagonal Fiberglass Crank Market Umbrella, Marine Grade Fabric, 24 lbs. 11 Foot Octagonal Fiberglass Auto Tilt Crank Market Umbrella, Marine Grade Fabric, 24 lbs.